Prepare a strategy for handling prospect research. Clean up old prospect data. What are you waiting for? Let’s jump right into the first step! What high-level fundraising approaches will you implement with your data? Who manages your prospect screening process and implements it into the broader fundraising strategy? Answering questions like these early in the process is a best practice for any type of prospect or donor research. They prevent you from losing focus as your team moves forwards and begins to uncover actionable results. Your target for how many major gift prospects you would like to add to your portfolio should be more defined than ‘a lot’. Also provide yourself with ambitious but concrete numbers for your donation upgrade goals through mail, specific club levels, and other outreach efforts. Perhaps you want to identify your short list of top prospects or to find all major gift prospects in a certain state or to pull the top 1,000 records most likely to respond to a piece of mail. If you figure out what you want beforehand then your research will better reflect your desired results. The most important part of strategizing is owning the process of planning, analyzing, and implementing your prospect screening results. Prospect ownership requires formulating a plan with determined goals, a project timeline, and organizing departments to assist with relevant tasks, such as IT support for database issues. Putting a plan down in writing where people can refer to it at will is a good way to avoid confusion. Don’t over-clean. Your data doesn’t need to be perfect. Focus on the areas of major importance in order to balance both your time and your financial investment. If you’re not sure whether or not a certain category is worth cleaning up, ask yourself this question: Is the value of cleaning up the data worth the loss of time and money otherwise spent on other prospect efforts? If the answer is ‘Yes’ then mop away. Do you have a communications strategy in place? Will you use direct mail, email, in-person conversations, or another solicitation technique? How much time and what tasks will each staff member be responsible for? A crucial part of your fundraising strategy should include developing a gift range chart. This is especially important if you’re organizing a fundraiser like a capital campaign. Here’s an example of what your gift range chart should look like: As you can see, your gift range chart should detail the gift amounts you’re trying raise and the number of gifts you need from each level to reach your goal. The smaller the donation amount the more gifts you should have for each level. In addition, you need to list the number of prospects who will donate every gift amount level. Since it’s not guaranteed that everyone you ask will contribute, it’s best to have double the number of prospects you actually need. Your staff and volunteers can use this chart to help guide their solicitation so that everyone is clear on what’s needed to reach your goals. Another aspect of solicitation is travel to meet major gift donors. You want to know where you plan to travel and how many prospects you will meet on each trip. Can your board members make connections in advance of travel? Will your meetings be in-person or events, and, if events, do you have a strong support to host the event? If you plan well then fewer unexpected obstacles will trip up your fundraising efforts. Time is a finite resource and there are too many donors to reach out to. Your screening results provide a wealth of information, and deciphering that data allows you to best allocate your time and effort to serious major gift prospects. Companies such as DonorSearch provide prospect scores to ameliorate the data analysis process. Instead of reading column after column after column, important prospect giving indicators are conglomerated into a comprehensible score. Time is money, and money won’t come unless you maximize your time spent interacting with the best prospects. You’ll also want to update your solicitation process in order to make the most efficient use of your time and resources. The new data could influence what types of prospects you target or where you choose to travel. A good practice is to share the data across all relevant departments. After all, you’re a team, and you never know who might notice a hidden but important piece of information. Major gifts can take awhile, so it’s important to keep tabs on major donors. Donors may not be ready to make a major gift, but could be eligible in the future. Conversations should revolve around your organization’s mission and not the donor’s wealth. Past philanthropy is a better indicator of potential giving than wealth, so it makes sense that donors respond better when the conversation revolves around the positive impact of their gift. And be sure to thank people. Gratefulness goes a long way towards assuring prospects that you’re an awesome person working for a worthwhile nonprofit. You’re well on your way to becoming a prospect research savant. When you can send a nicer piece of mail or provide a more personal conversation to a prospect who is likely to give a four or five-figure gift, you stand a much better chance of receiving a positive response. It’s not a short or easy process, but it’s hard work that will pay off. Want more prospect research advice? Discover more expert tips in these additional resources: Prospect Research Guide: For more in-depth information prospect research, check out our ultimate guide. You’ll learn the ins and outs of prospect research and how to incorporate it into your fundraising strategy. 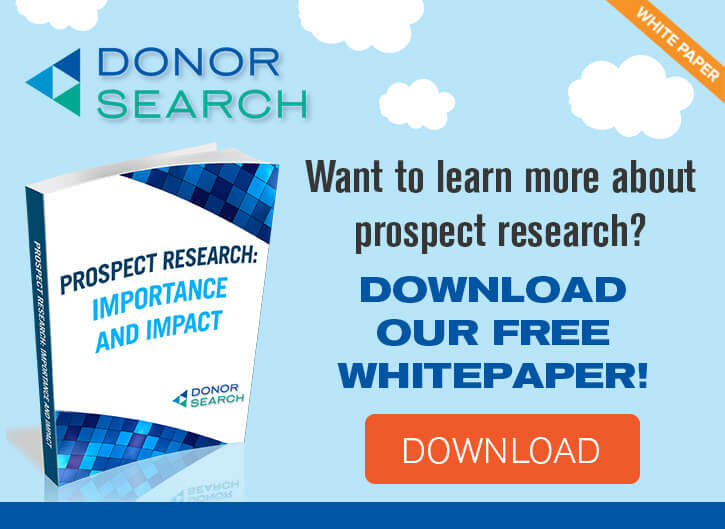 Prospect Research Templates: If your nonprofit is looking for a simple way to track the donor data your gain from prospect research or are unsure of what types of information to collect, this article is for you. 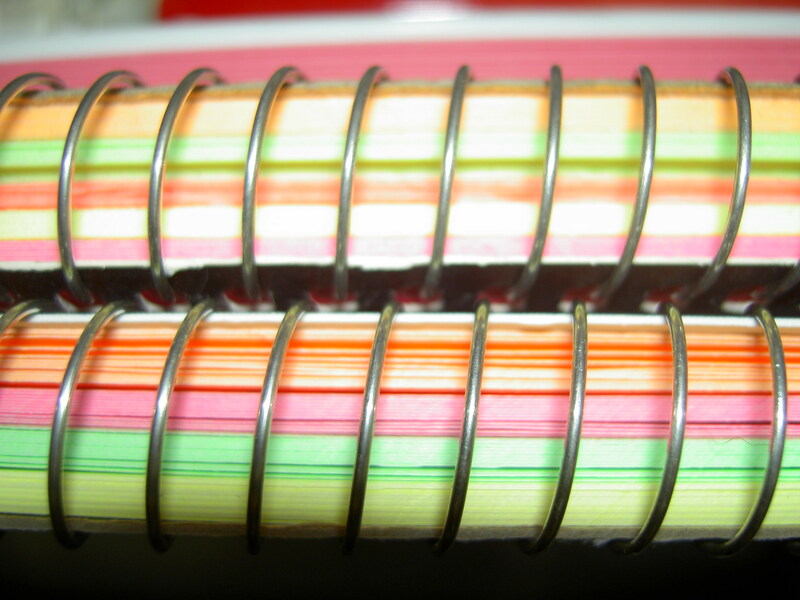 Get a free template on prospect research to help you stay organized. Major Donor Strategies: As you conduct your prospect research, you may find that you also want to conduct wealth screening to identify major donors. This guide will help you craft a fundraising strategy to attract your major donors.